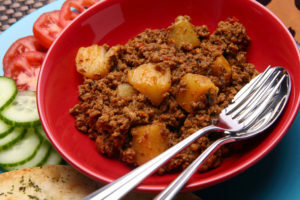 Keema Aloo is a popular spicy minced lamb or beef dish from the North-West Frontier of India. Lean minced lamb or beef and potatoes are combined with the aromatic spice of cinnamon, cloves and cardamom. Whether as a lazy Sunday brunch dish served with bread rolls, or as an accompaniment to an evening meal served with puris, rice or naan, Keema Aloo is comforting and punchy. 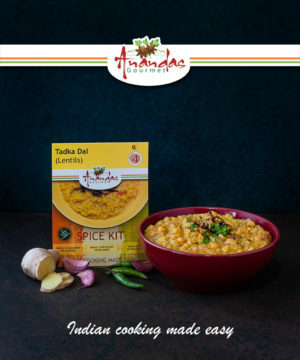 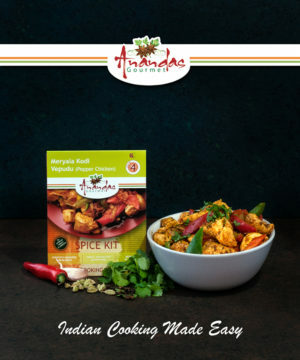 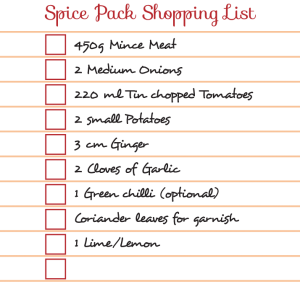 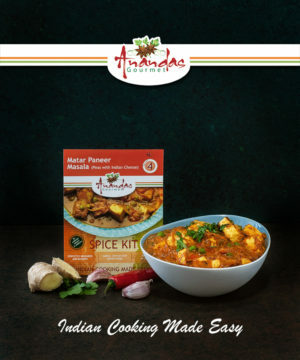 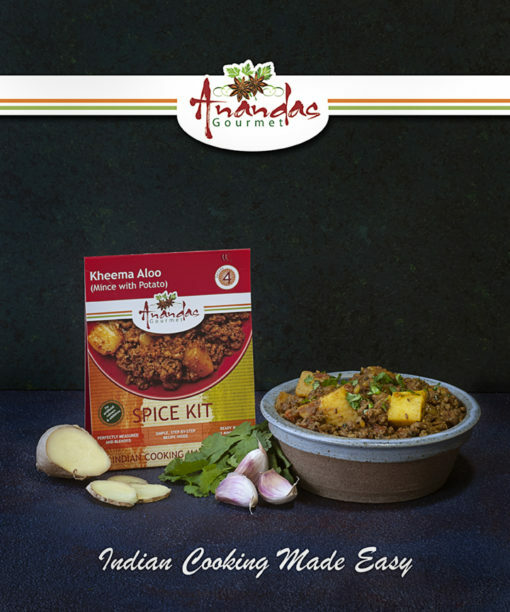 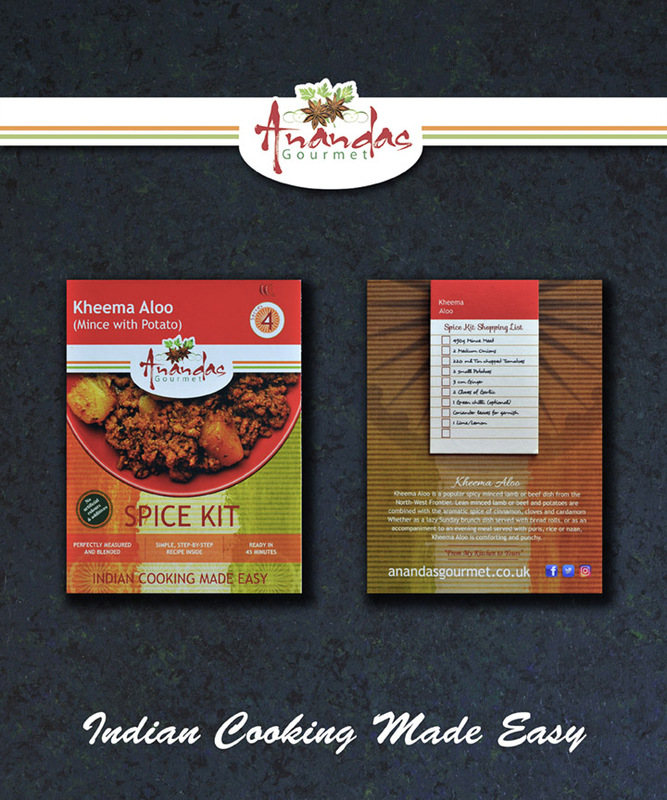 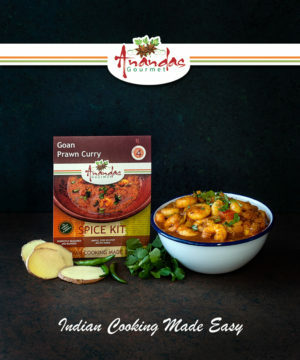 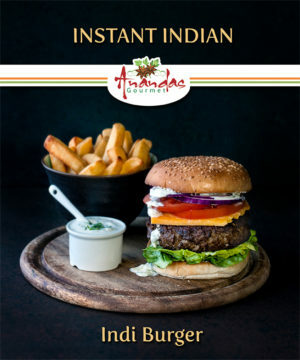 To experience the taste of Ananda’s Gourmet Keema Aloo Curry, simply buy this spice kit, and use the shopping list below (its also on the back of the spice kit) to get the fresh ingredients, and follow the instructions in the kit. 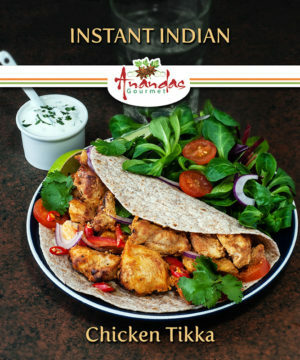 Lovely meal, very simple and delicious.